This performance — recorded on November 4, 2014, at the San Diego Jazz Fest — made me think, “This is an unissued Commodore session . . . rejected because it ran too long.” I don’t have higher praise than that, and since I think the dead know, I believe that Milt Gabler is feeling the good spirits too. The musicians (or wizards of feeling?) 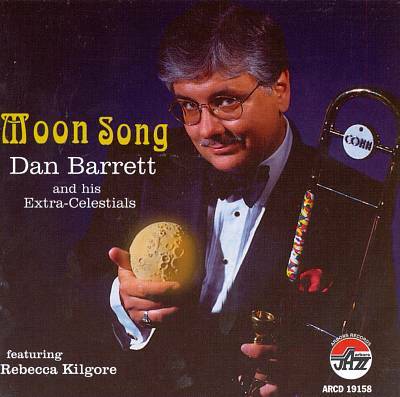 are Ray Skjelbred, piano and inspiration; Marc Caparone, cornet; Jim Buchmann, clarinet; Katie Cavera, guitar; Beau Sample, string bass; Hal Smith, drums. The song chosen is really a layer-cake of three. 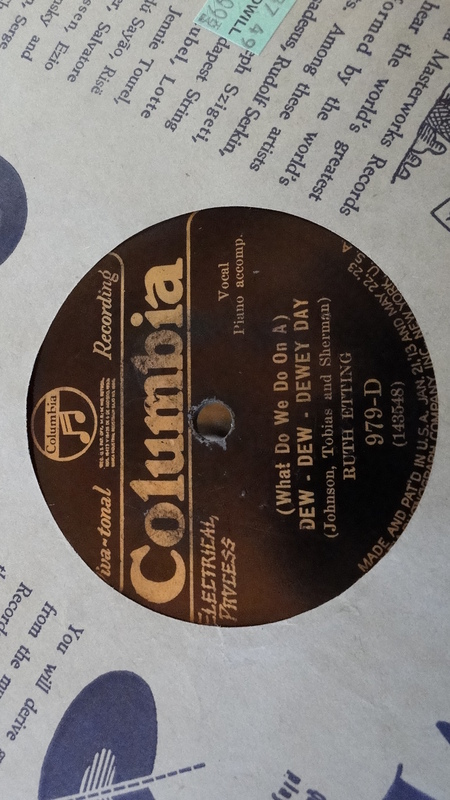 First, DIGA DIGA DOO (by Jimmy McHugh and Dorothy Fields) — a song made for romping, even though its people-of-color-are-so-hedonistic lyrics are now hard to sing. 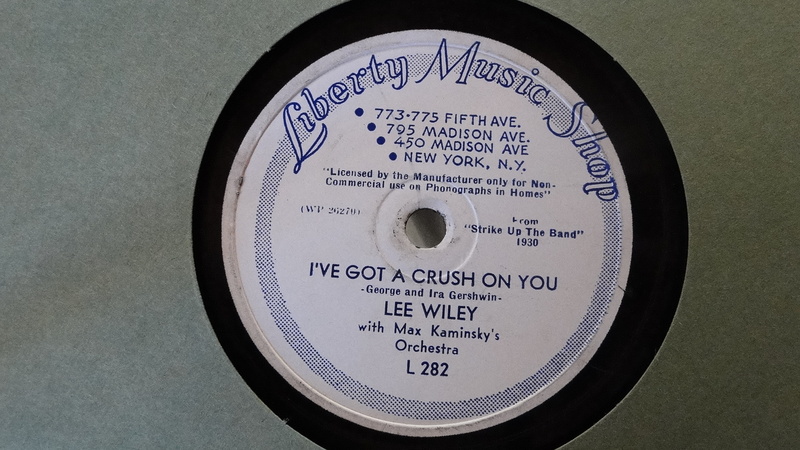 It’s overlaid by KRAZY KAPERS, a riff created at the 1933 “Chocolate Dandies” session overseen by John Hammond (the awful band title aside, it was a hot mixed group), and then the song that Ray murmurs about — the one that went too long at Carnegie Hall — Louis Prima’s SING SING SING, with or without commas, which gives Ray a chance to evoke Jess Stacy, always welcome. It’s in moments like this — nearly seven minutes of moments — that I feel I’m doing the important work of my life (with no offense meant to the students I teach) . . . attempting to make the evanescent permanent, attempting to make the local heroes world-famous. It makes the knapsack with cameras and tripod feel feathery, not burdensome. And — quite relevant to this music — I just read that Mosaic Records has completed an eight-CD set of the complete Commodore and Decca recordings of Eddie Condon and Bud Freeman, which will be available in mid-April. Need I say more? The theory of homeopathy, greatly oversimplified, is that like cures like. 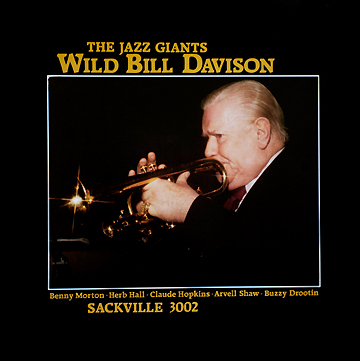 I offer you four practitioners of the most healing art of heartfelt swing: Ray Skjelbred, piano; Marc Caparone, cornet; Beau Sample, string bass; Hal Smith, drums. I feel better now. A dose of The Quiet Blues was just what the doctors ordered. James Dapogny’s Chicago Jazz Band is one of my favorite groups — whether they are expertly navigating through their leader’s compact, evocative arrangements or going for themselves. The noble fellows on the stand at the 2014 Evergreen Jazz Festival were Dapogny, piano / arrangements; Jon-Erik Kellso, trumpet; Chris Smith, trombone, vocal; Kim Cusack, clarinet, alto saxophone, vocal; Russ Whitman, clarinet, tenor, baritone saxophone; Rod McDonald, guitar; Dean Ross (a Denver native), string bass; Pete Siers, drums. Splendid playing and arrangements. And more to come. THE ELDERS CONVERSE. THE BIRDS SING. On the surface, what follows is a video recording of a vinyl record turning, the sound captured by the most primitive means — the camera’s microphone aimed vaguely at the “record player”‘s speaker. Were I more willing to concentrate on the niceties of technology, you would all have this music in more precisely-edged sound, but I have a nostalgic fondness for such archaisms as this. And while I was recording it, I heard a good deal of birdsong — audible while Tony is soloing — from the world outside. I think it a great melding of songs rather than an interference. 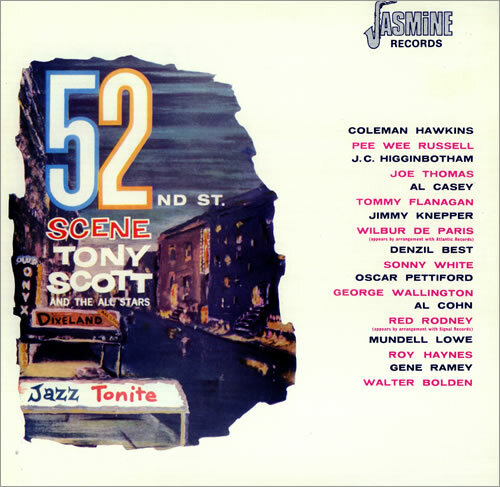 Here, on BLUES FOR THE STREET and LOVE IS JUST AROUND THE CORNER, he is joined by Sonny White, piano; Al Casey, guitar; Oscar Pettiford, string bass; Wilbur DeParis and J. C. Higginbotham, trombone (Wilbur takes the second solo); Joe Thomas, trumpet; Pee Wee Russell, clarinet. I took the trouble of videoing this disc because it speaks to me — and I hope to you — in many ways. For one thing, it is a slow blues, a form of expression often neglected in post-World War Two improvisation, except for rural blues musicians. Everything gets faster, so musicians and audiences often grew restless during a slow blues. Ballads were fine, because they lasted only a chorus. But recording a slow blues — aside from wisely utilizing the technology of the time — was a tribute to the way it all used to be, when we all had the time to linger, to muse, to sink deep into a musical world without feeling irritably restless after three or four minutes. Intentionally, it was called BLUES FOR THE STREET — that block on New York’s Fifty-Second Street, now anonymous, that in the decade between the mid-Thirties and the mid-Forties held a cornucopia of jazz clubs. 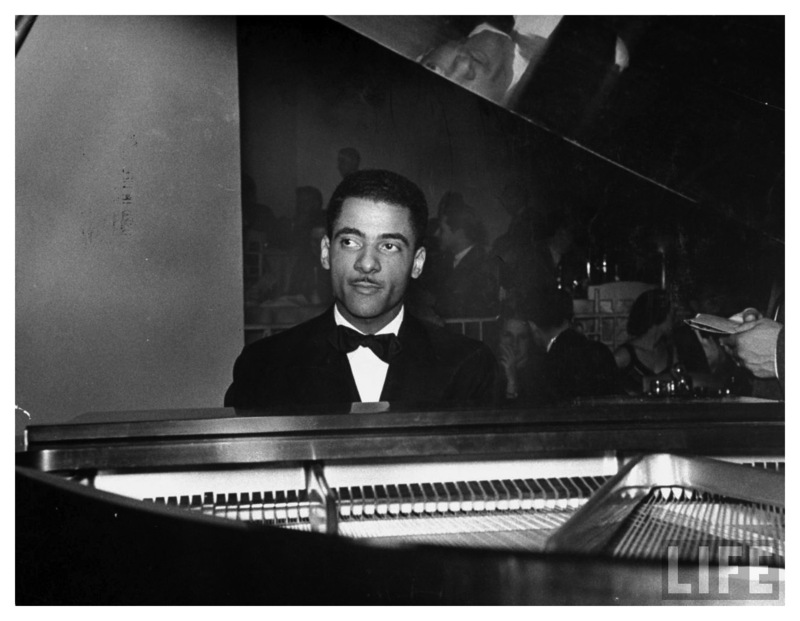 People who were there said the crowds were loud, the drinks watered, the atmosphere in general anything but reverential, but all the musicians one ever wanted to hear played and sang there, from deep New Orleans traditionalists to the most modern of modernists. And they seem to have enjoyed a convivial respect and pleasure in one another’s company, even when journalists and publicists tried to divide them into schools and warring factions. Elders took care of youthful strivers (Tony Scott was mentored and fathered by Ben Webster, for one) without any personal motive larger than the flowering and continuation of the music they all loved. Postwar cultural shifts (once you settle down in the suburbs, raise a family, watch television, and mow the lawn, you can’t stay out all night anymore) and other factors made the Street vanish. But its memory remained bright, a vision of a musical Eden where all was possible. I first heard BLUES FOR THE STTREET perhaps forty years ago, on Ed Beach’s radio program honoring trumpeter Joe Thomas — the patron saint of sweet, measured simplicities that turn out to be deeply emotional — and his gentle, probing solo stays with me still. Notice, though, that each of the players exhibits a truly personal voice — leisured but intense — while saying how much they miss The Street. Later, in 1973-5, I was blessed — I do not use that word casually — to hear Joe Thomas in person, thanks to his dear friend, colleague, and advocate Michael Burgevin. I will have more to say about Michael in the near future. 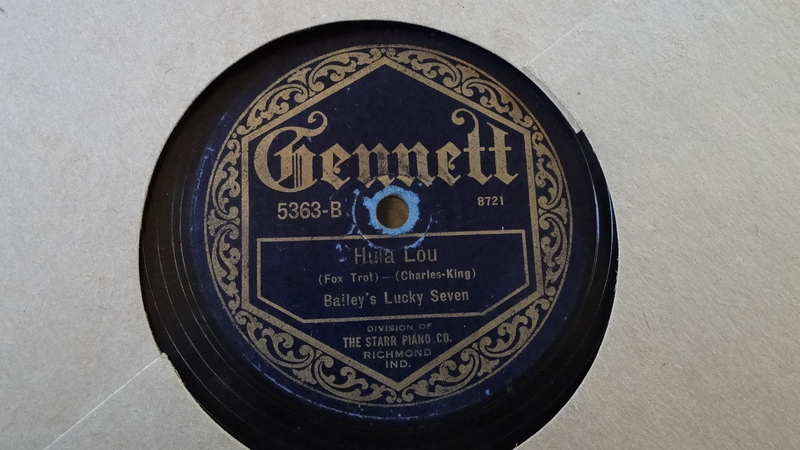 LOVE IS JUST AROUND THE CORNER was a quietly exuberant tribute to Pee Wee Russell and to the Commodore Music Shop, for Milt Gabler encouraged Pee Wee to stretch out on this pop song — a Bing Crosby movie hit — for one of the new Commodore Records in 1938. Tony Scott, perhaps hearing in his memory the duetting of Pee Wee and Jimmy Giuffre on the December 1957 THE SOUND OF JAZZ, steps up alongside the Elder to say his own piece. Music, like love, is always around the corner — even if that corner has been obliterated. Brendan Gill told the story in his book HERE AT THE NEW YORKER of handing a Roman coin to his fellow writer William Maxwell, whose response I have taken as my title. The objects I’m referring to are also round and ancient, with a different pedigree. This most recent manifestation of The Quest began in June 2013 in a Novato, California antiques shop. 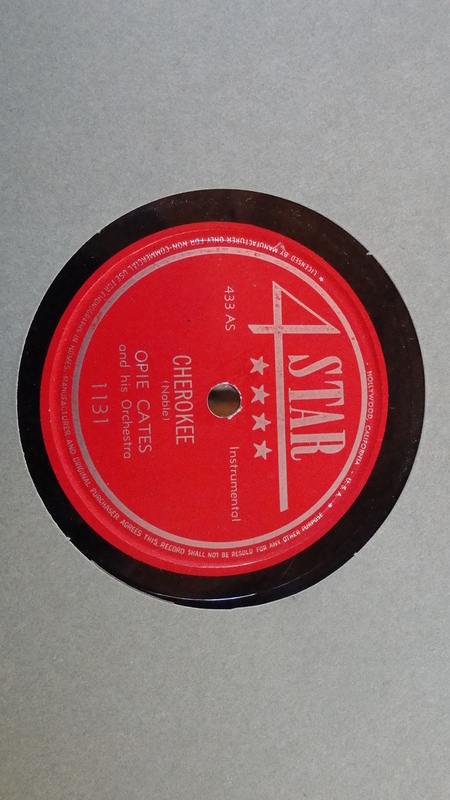 The Beloved had noted that they had 78s and even checked one to see — it was a Ray Noble Victor — that the pile might have some interest to me. Ten days later, we visited the Goodwill in Petaluma, where I’d once found — magically — WRAP YOUR TROUBLES IN DREAMS, thanks to Mr. Crosby and some collection of Hidden Powers (a story we treasure). 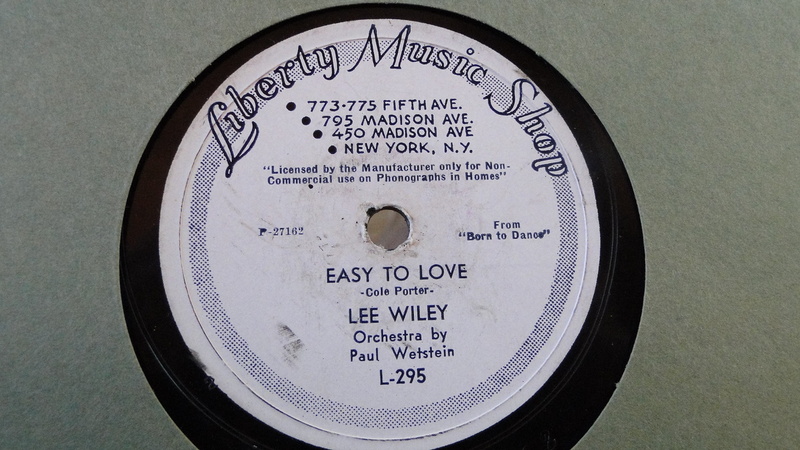 No such revelations awaited us, but on the floor were four cartons of 78s, most in paper sleeves — more than a few from a Berkeley record store — and some in brown paper albums. 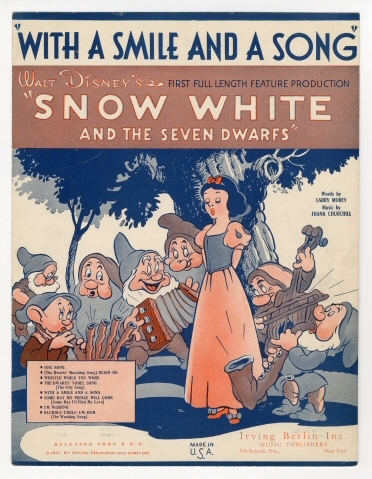 Someone had admired or collected Bing, for two of the cartons held Deccas, from the sunburst 1937 LET’S CALL A HEART A HEART to the early-Fifties duet with son Gary, SAM’S SONG. 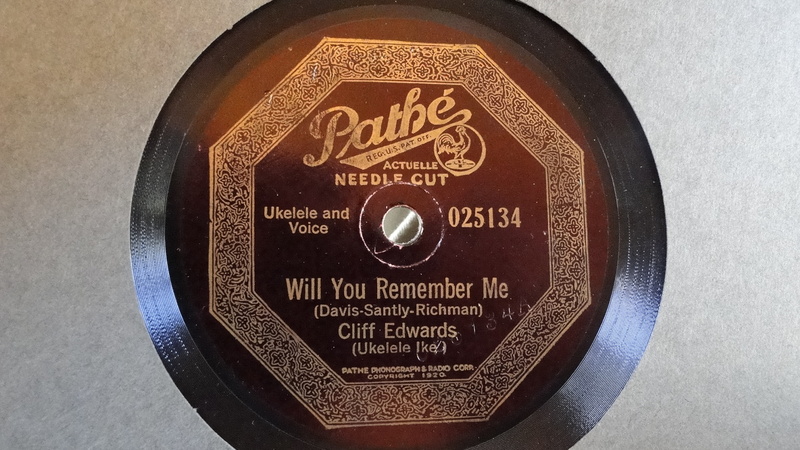 I went through them quickly, out of respect for Bing, but my attention was drawn by the scraps of someone’s record collection — the ones I collected for myself reached from the Twenties to the late Forties. I bypassed any number of sweet bands — Tom Coakley for one — but went for many varieties of Hot and Sweet. Each was ninety-nine cents plus tax. January 1924, with Phil Napoleon, Miff Mole, Jimmy Lytell, Frank Signorelli, Tony Colucci or John Cali, Jack Roth. 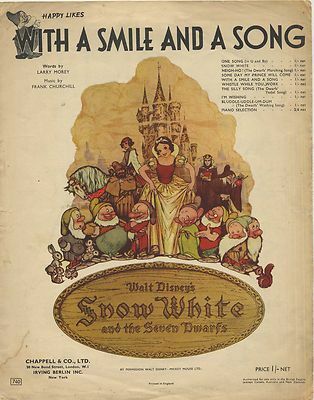 Aptly named — from 1940 — conducted and arranged by someone we admire, before he became Paul Weston. The way we feel about Miss Wiley. Another sweet star — asking a meteorological question. Miss Helen Rowland — a singer memorable but not sufficiently well-known. 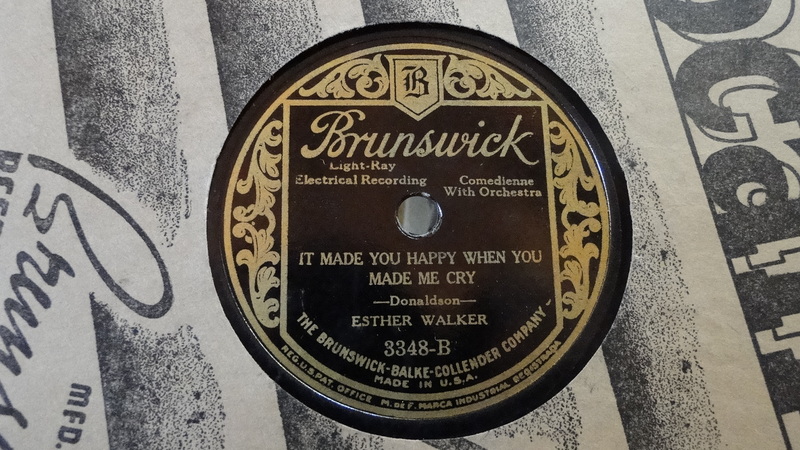 This record isn’t listed in Lord’s discography, but “Comedienne” suggests a certain amount of energy; having heard Miss Walker sing, I wouldn’t expect her to “get hot,” but she’s never a disappointment. The other side of this disc appeared first to my eyes: I GOT RHYTHM by the Bud Freeman Trio, with Jess Stacy and George Wettling. I find it nearly impossible to pass up a Commodore 78 — holy relics of devotion to the Hot Grail! — but this one comes with its own story. 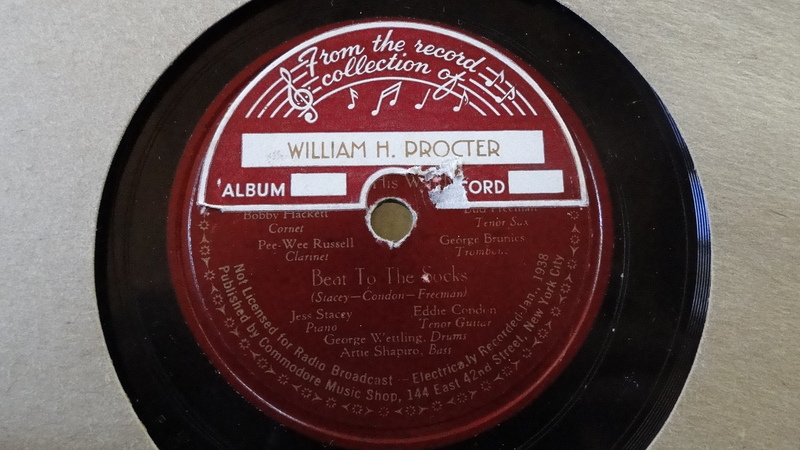 I couldn’t find out anything about William H. Procter, but I do not doubt that he was a swing fan in the late Thirties and mid-Forties. 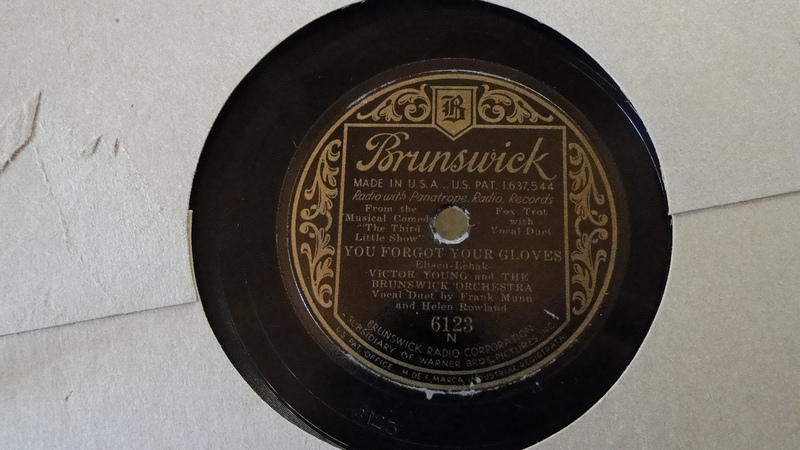 The two brown paper albums of 78s — mostly Goodman — all had his stickers on the label. And it took me back to a time before my birth when a proud swing fan would have bought those stickers as a point of pride: “These are my records!” so that when he brought a new group of precious acquisitions to a friend’s house for a listening party, there was never any discussion that his new Bluebird or Blue Note was his. 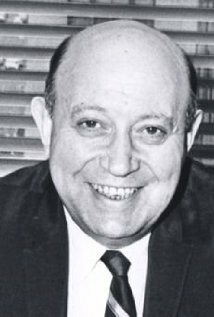 Where is William H. Procter now? I hope he is with us — just having decided that he could have the music of his elated youth on his iPod rather than those bulky black discs. I send him gratitude for his good taste.